Each day, hundreds of people visit St Luke’s charity shops in towns across mid and south Cheshire. Our shops are popular with customers because of the excellent quality of donations we sell, our approach to stock rotation and of course our friendly customer service. Mainly staffed by volunteers, our shops turnover more than £1million each year to raise money for the Hospice. 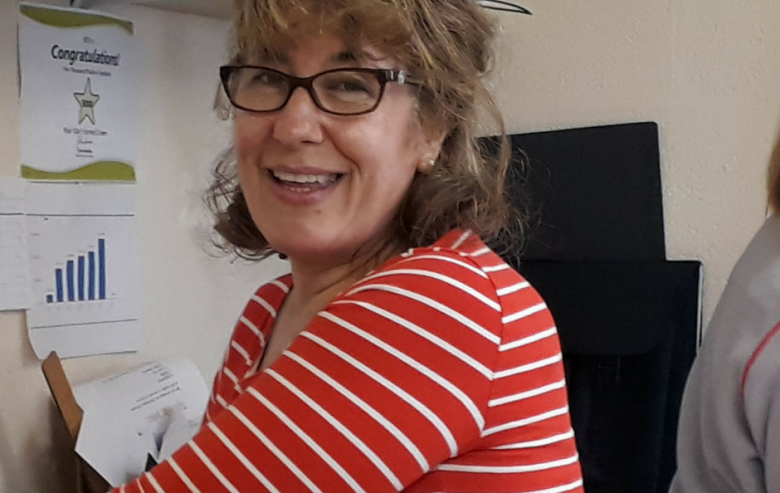 To find out more we caught up with Nantwich shop volunteer Heather Fell. 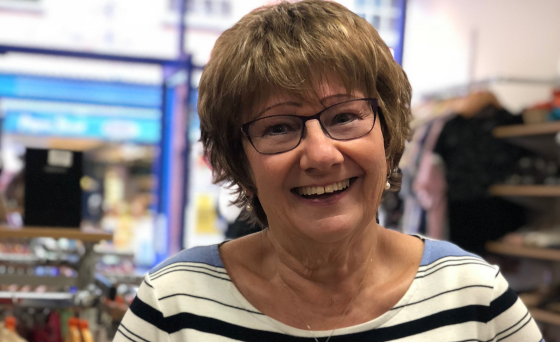 “I was really keen to add some structure to my week once I’d retired, so when I saw that St Luke’s offered volunteering opportunities I knew it was for me, and now I’m helping in the shop two mornings a week! I really enjoy working here and meeting new people who come into the shop. As part of my role I serve customers, replenish stock and change the displays. There is such a friendly atmosphere and we get lots of lovely donations coming in – I’m even partial to buying the odd thing or two!